Birmingham Botanical Gardens hosts Birmingham Butterfly Education and Awareness Day on June 14. In cooperation with Birmingham Zoo, Ruffner Mountain and McWane Science Center, Birmingham Botanical Gardens presents Birmingham's Butterfly Education and Awareness Day on June 14. 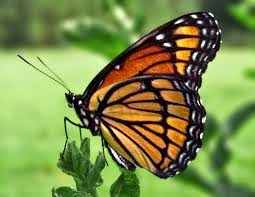 Each year, the Association for Butterflies, a non-profit organization dedicated to the welfare of butterflies through conservation, research, and promotion of butterfly gardening and butterfly farmers, celebrates Butterfly Education Awareness Day on the first Saturday in June. This year, three of Birmingham's most recognizable cultural institutions have chosen Father's Day weekend to bring the same celebration to the Magic City as part of The Garden's "Get into the Gardens" series. The Gardens will also be joined by its friends at Alabama Cooperative Extension Systm and the Native Plant Group at Birmingham Botanical Gardens. The event will be held at the Gardens from 10-2 p.m. Admission is free. Birmingham Zoo will host children's activites from 10-2 p.m., with butterfly releases scheduled for 11 a.m. and 1 p.m. McWane Science Center will also host children's activities from 10-2 p.m. and Fresh Air Family will host "Hikes for Tykes," a walk led by Verna Gates focusing on butterfly lore, legend and stories based on Monarch butterflies. The hike, designed for pre-school children and their parents, will begin at 10 a.m. Arnie Rutkis from Stoneshove Landscaping will discuss ideas for creating butterfly and pollinator gardens. There will also be native plants available for purchase.